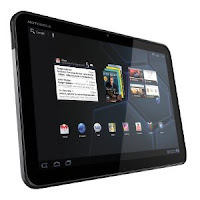 Motorola XOOM Wi-Fi Tablet - review, specification, prices. Redefining the tablet by providing more ways to have fun, connect with friends and stay productive on the go, the Motorola XOOM Wi-Fi Tablet boasts a dual core processor with each core running at 1 GHz, 10.1-inch widescreen HD display, and ultra-fast Wireless-N Wi-Fi networking. Th Motorola XOOM Wi-Fi Tablet also offers support for Adobe Flash Player that enabling you to view the web without compromise. 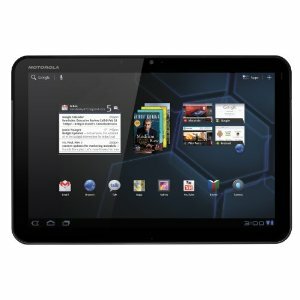 This Motorola XOOM Wi-Fi Tablet runs Google's Android 3.0 Honeycomb operating system, which offers a multi-touch, holographic user interface that improves on Android favorites such as widgets, multi-tasking, browsing, notifications and customization. It also offers the latest Google Mobile innovations, including Google Maps 5.0 with 3D interaction, access to over 3 million Google eBooks and Google Talk with video and voice chat. Related Posts to "Motorola XOOM Wi-Fi Tablet"
5 Comments to "Motorola XOOM Wi-Fi Tablet"
Please comment to Motorola XOOM Wi-Fi Tablet - Laptop and notebook reviews Motorola XOOM Wi-Fi Tablet, review, specification, and price. Please don't spam.